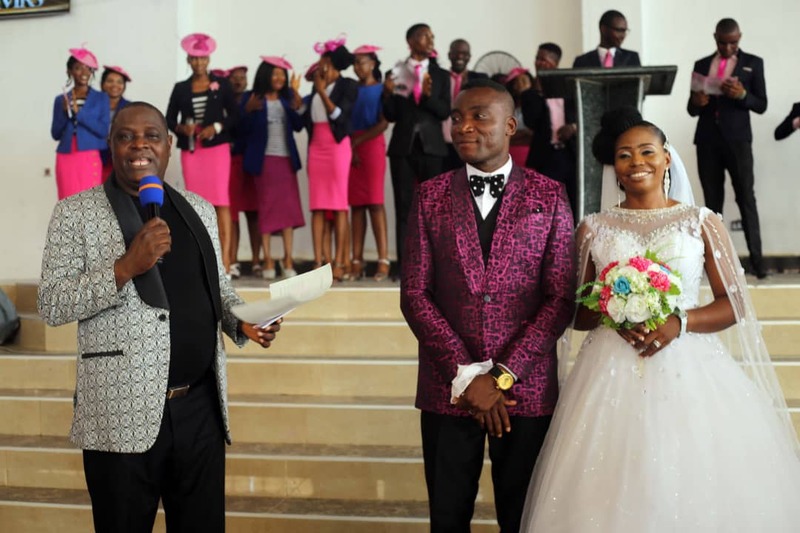 Gospel music minister, Iboro Samuel popularly known as Minister Sam got married to his heartthrob former Miss Grace Udoh last Saturday amidst pomp and pageantry. According to WC Radio reporter, the wedding ceremony took place at RCCG Cornerstone Parish, which Minister Sam serves as the Music Director and was later proceeded to the reception venue. Minister Sam is known for his hit songs such as “I Dey Hall O”, ”Do Am The Right Way” and many others. We say a big congratulations to the couple and we pray for a fruitful and peaceful marriage.